#SushantSinghRajput and debutant actress #SanjanaSanghi will be seen in the Hindi remake of Hollywood blockbuster 'Fault In Our Stars'. The actor finally released the Hindi title of the film and it's called #KizieAurManny. 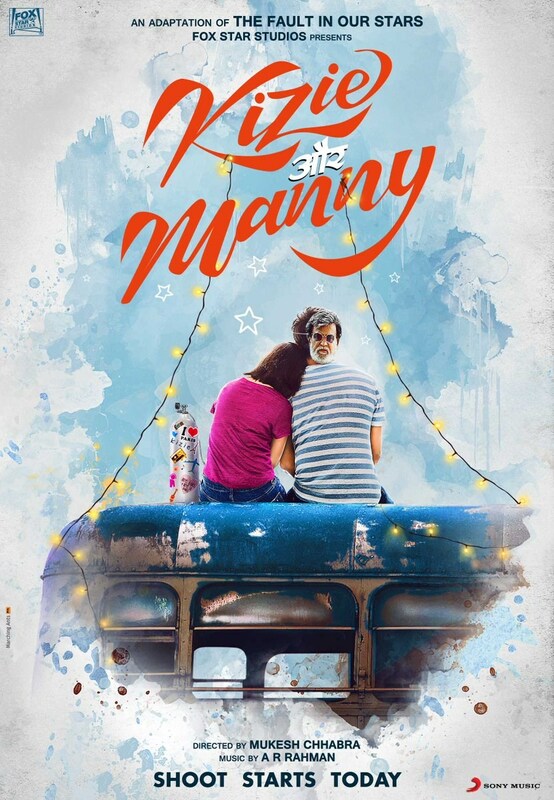 'Kizie Aur Manny' will also mark the directorial debut of famous casting director Mukesh Chhabra. The shoot of the film has commenced in Jamshedpur. The music of the film will be composed by maestro AR Rahman and the film will hit the screens next year. 'Fault In Our Stars', the romantic tragedy, directed by Josh Boone is based on the novel of the same name by John Green. Now, it will be interesting to see how it has been adapted in Hindi. Apart from Kizie Aur Manny, actor Sushant Singh Rajput is also part of Son Chiriya. The actor is playing a dacoit in Chambal in the film that also stars Manoj Bajpayee and Bhumi Pednekar. The film is helmed by Abhishek Chaubey. SSR is part of Drive, which is directed by Tarun Mansukhani and produced by Karan Johar. It also stars Jacqueline Fernandez, Vikramjeet Virk and Sapna Pabbi in the lead roles.